Arc Entertainment recently send us over 3 pack of their latest releases on DVD's. we're giving away to one reader. Films included in the three pack are "Field of Lost Shoes", "John Doe: Vigilante" and "Zarra's Law". Want to win this three pack of DVD's. You can send an email to facontest@gmail.com. Please include "Arc 3 Pack" in the subject line. Contest ends on July 15th. Synopsis: Based on a true story of the American Civil War, culminating at the Battle of New Market, May 1864. A group of teenage cadets sheltered from war at the Virginia Military Institute must confront the horrors of an adult world when they are called upon to defend the Shenandoah Valley. Leaving behind their youth, these cadets must decide what they are fighting for. Synopsis: Frustrated with a failing legal system that allows violent criminals to go free, John Doe (Bamber) begins exacting justice the only way he know how – by killing one criminal at a time. 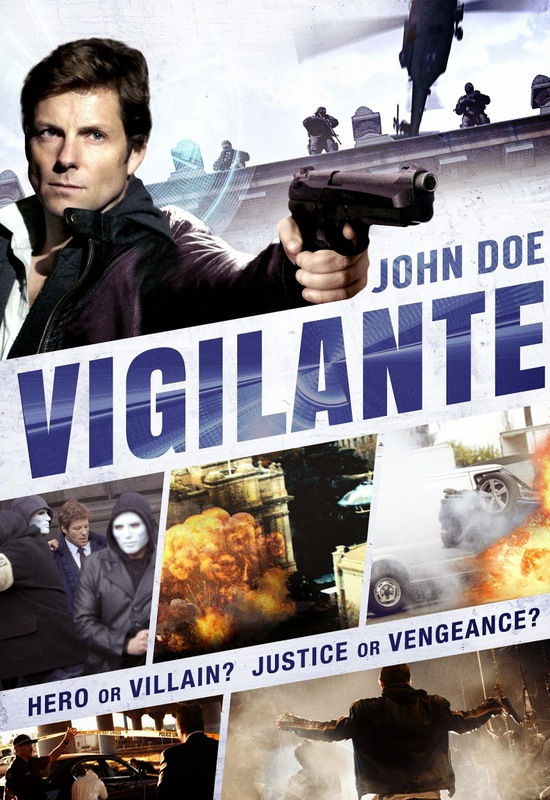 Soon he becomes a media sensation and inspires a group of copycat vigilantes, but who is the real John Doe – a pillar of justice or a cold-blooded murderer? Synopsis: When one brother is murdered, the other, a retired police detective, finds himself pulled back into the criminal world he left behind to solve the mystery surrounding his younger brother's death. Starring Tony Sirico in the role of Tony Zarra, this film climbs to a violent conclusion, fueled by passion, family loyalty and revenge.